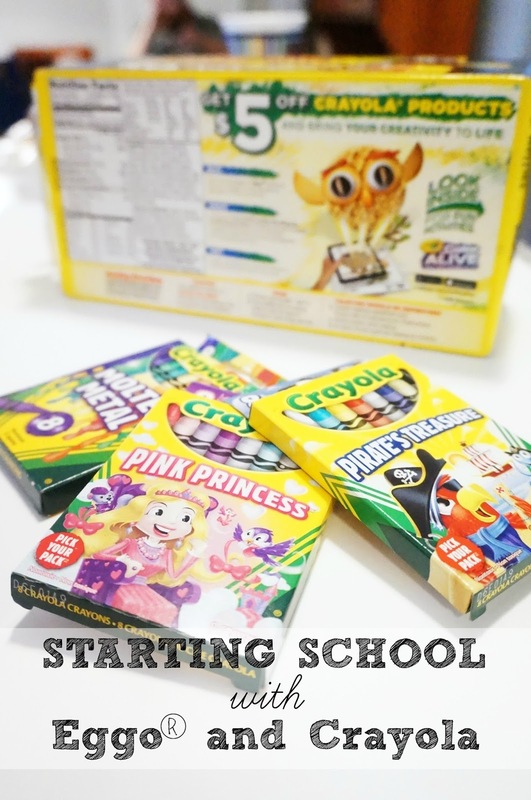 The school year is upon us! Can you believe it’s already August? This summer has flown by so fast, it’s hard to believe that the kids will be starting school in a few weeks. Pretty soon we’ll be back to rushing in the morning to school, rushing in the afternoon to get homework done, and rushing to get the kids to bed on time. 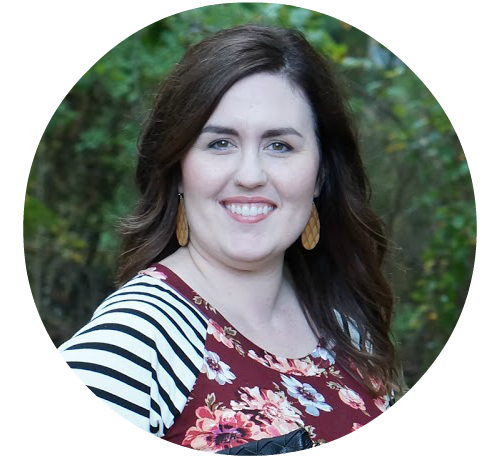 I, for one, am not ready for all the rushing around that the school year brings, but I do have a couple ways to keep myself organized through it all! In fact, I like to start off the day organized. We have three kids, and they rarely want the exact same meal for breakfast. When we do our weekly grocery shopping, they can pick a couple things that they’d like to eat. 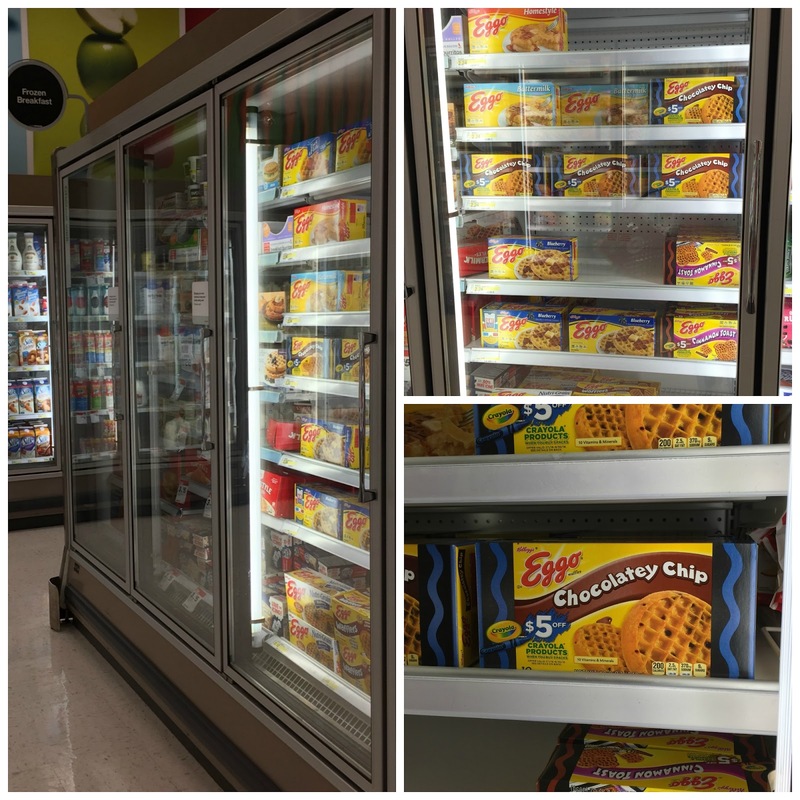 Since there is an Eggo® & Crayola promotion going on right now, they each got to pick out a different Eggo® item. It is available at all stores! 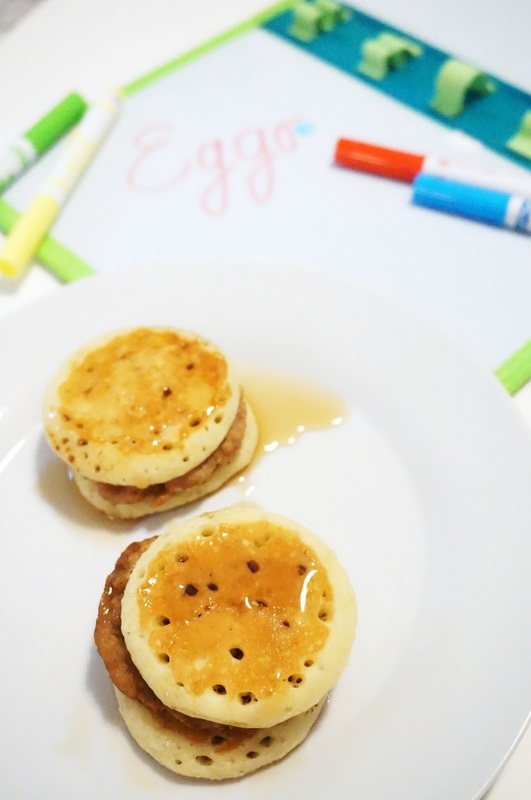 This actually worked out perfectly for the Eggo® offer through Crayola! 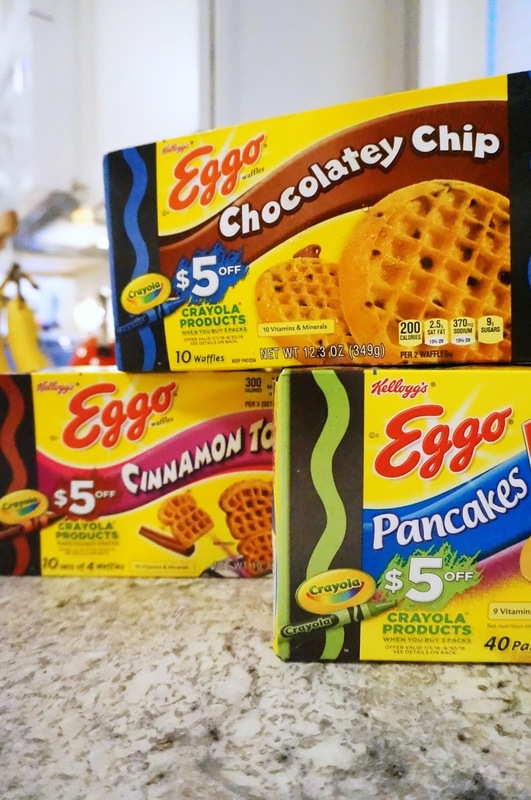 When you buy three boxes of specially marked Eggo® boxes, you can submit your proof of purchase to receive a $5 coupon off your Crayola purchase. So, we purchased our breakfast and then got a few Crayola products for the kids. I found this super cool travel white board notebook. You can store the dry erase markers in the notebook, so it’s perfect for the car. 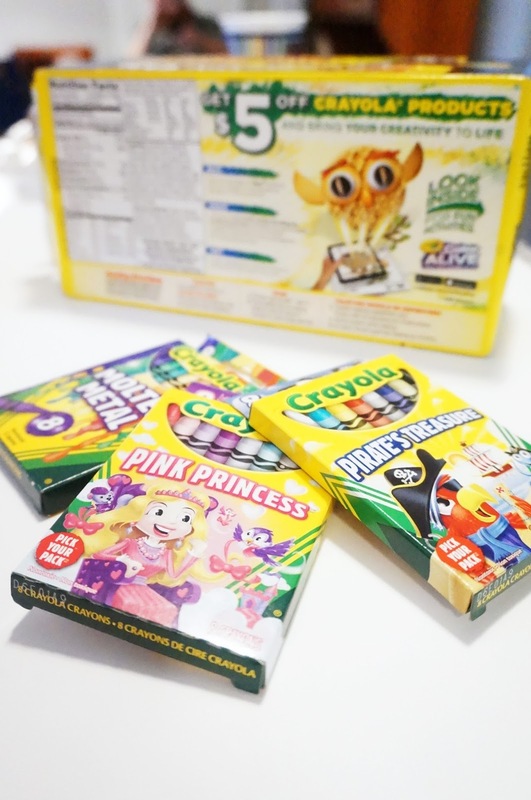 I also picked up a few packs of crayons, because apparently they have themed colors! We got a pack each of princess, pirate, and molten metal colors. So cool!! As a little surprise for the kids, I created these pancake sausage sandwiches the other morning. They devoured them! It’s super easy. 1. First, cook the pancakes according to the package. 2. Then, warm up a pre-cooked sausage patty, and arrange the pancakes and sausage into a sandwich. 3. Drizzle maple syrup over the pancake sausage sandwich. The kids also love to dip them into a small bowl of maple syrup. 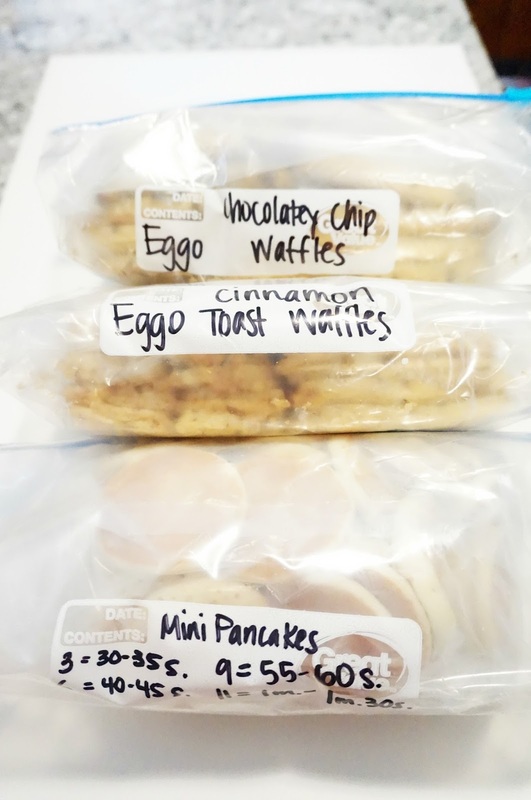 Like I said before, the kids rarely want to eat the same thing for breakfast, so storage in our freezer is sometimes an issue. Since we have three different breakfast meals in the freezer right now, I took the bags out of the boxes and placed them in freezer bags. This not only saves room but it also protects the food a bit more since it’s in a freezer bag. For the items that have cooking instructions, like the pancakes, I write the directions on the bag. Easy peasy! 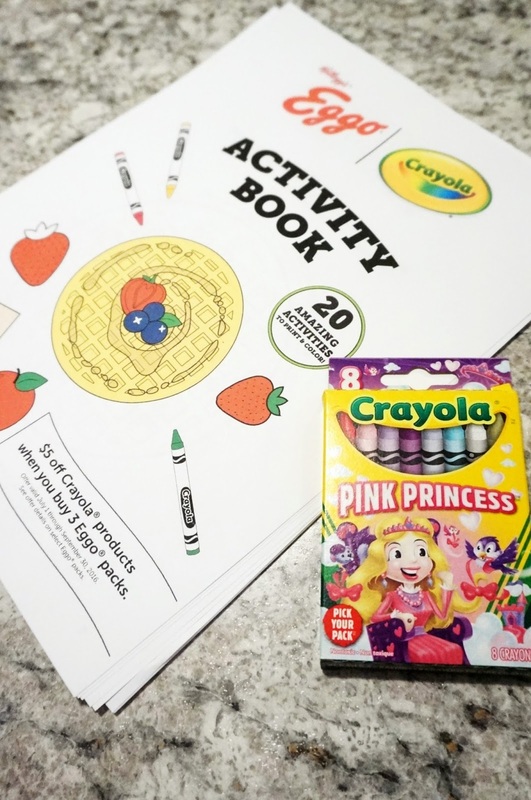 When you purchased your three Eggo® products, don’t forget to the print the Crayola and Eggo® activity book. It’s absolutely adorable! 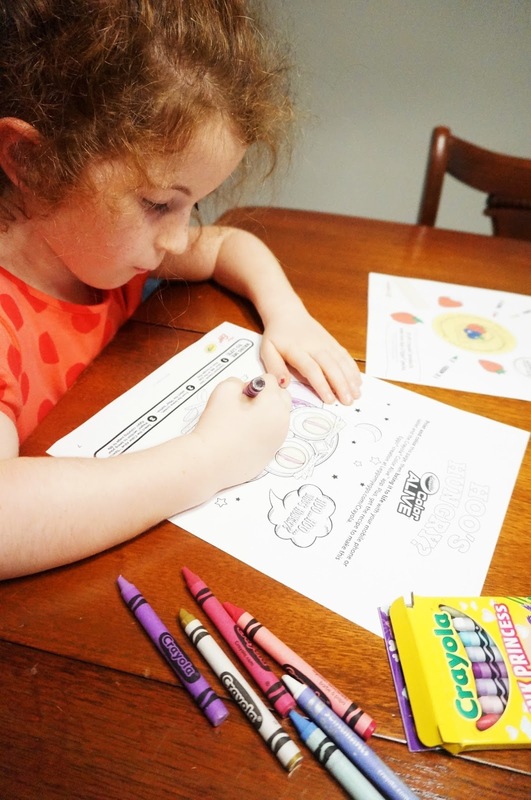 I love that it’s not just coloring, there are also activities that really get my kids thinking. I can feed their bellies and their minds at the same time. Look for more information on this special offer in the Target Circular Ad during the first week of September! The promotion ends September 30th.